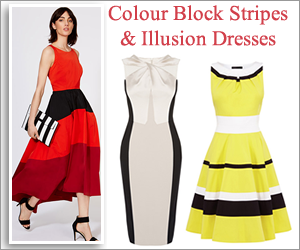 Introduce a touch of feminine glamour to your wardrobe with a fabulous fifties style swing dress. 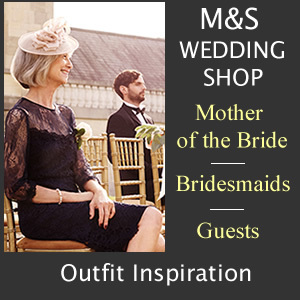 Vintage Mother of the Bride dresses and Mother of the Groom outfits are bound to win complements on the big day. Design features take inspiration from a vintage shape including nipped in waist, full A-line skirts and off the shoulder necklines. Best of all the demure appeal of 50’s fashion works well for so many occasions. 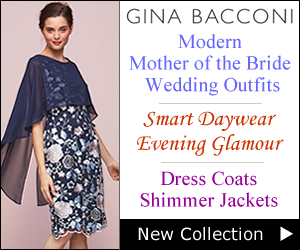 The retro swing dress can be teamed with bolero jacket for a complete wedding outfit. When it comes to evening glam amp up your look further with sparkling jewellery, heels and matching clutch. L.K. 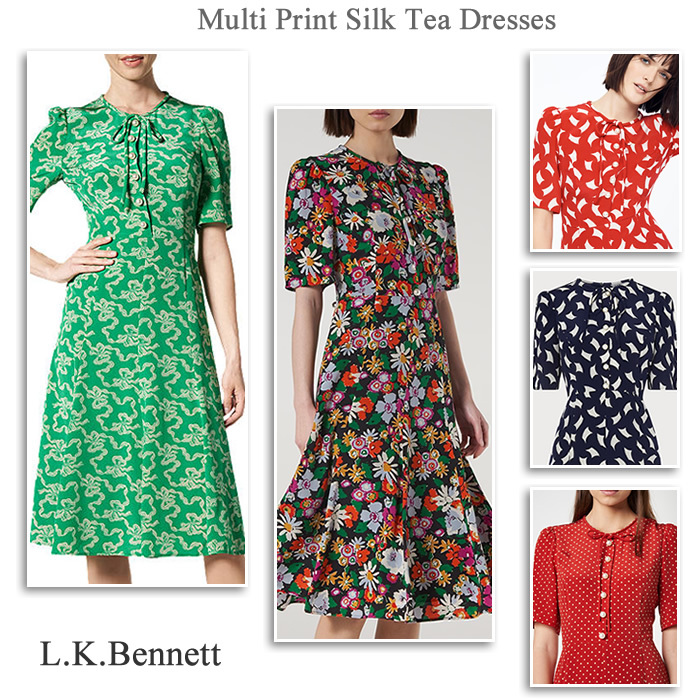 Bennett multi print silk tea dresses in red, green and navy, midi length with pearl buttons, tie collar and short sleeves. 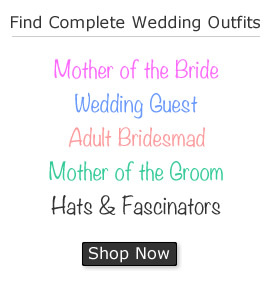 Vintage inspired 1940's 1950's fashion for Mother of the Bride and guests. 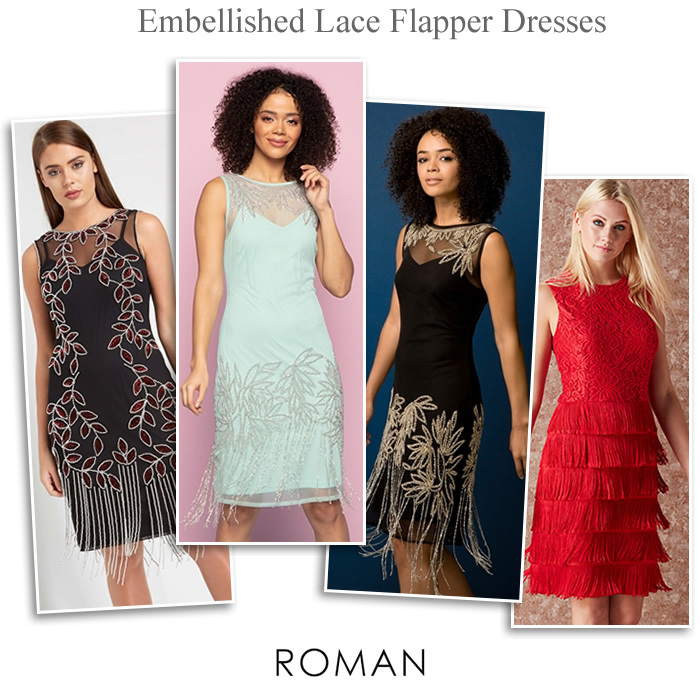 Roman Originals occasionwear embellished lace flapper dresses and vintage inspired evening gowns. 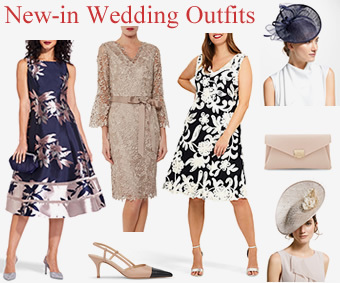 Trendy Mother of the Bride, Groom and wedding guest outfits under £50. 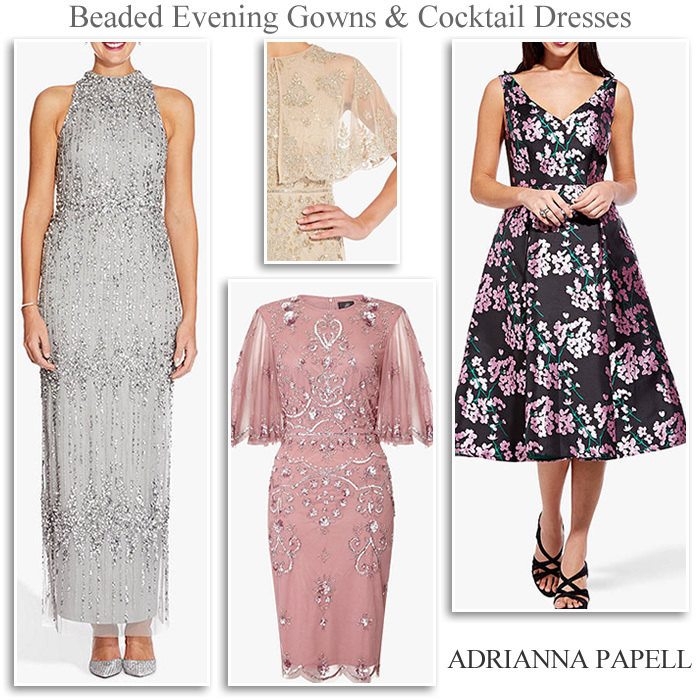 Adrianna Papell designer eveningwear, Art Deco beaded and sequin column maxi gowns, knee length jacquard prom style cocktail dresses vintage Mother of the Bride outfits. 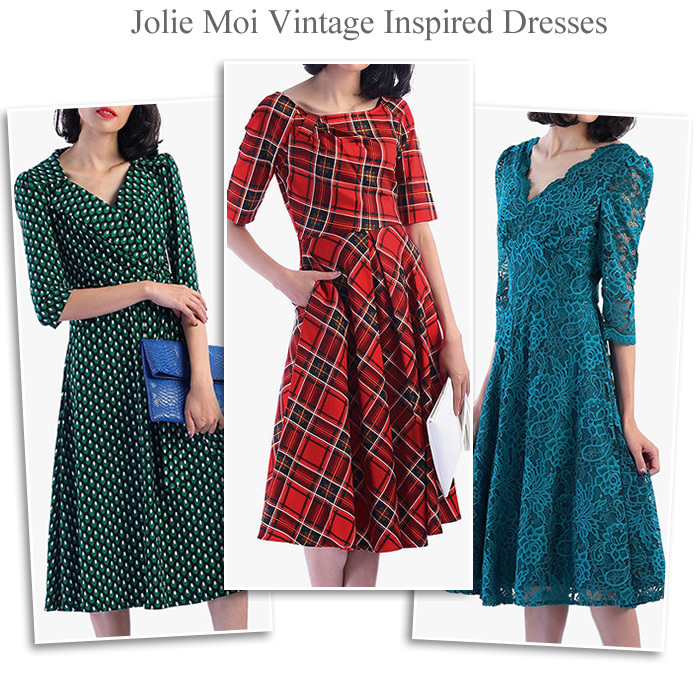 Jolie Moi vintage inspired swing dresses with sleeves for Mother of the Bride and wedding guests. 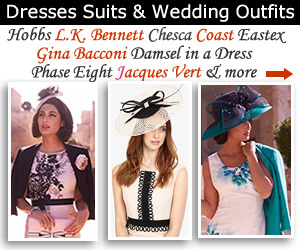 Retro fashion and occasionwear, 1940’s 1950’s prom, wiggle and tea dresses. Continue the retro theme for evening events with a flattering flapper dress. 1920’s vintage-inspired fashion offers glitz and glamour with beaded and fringed dresses. You can also channel the 20’s Gatsby theme into your wedding reception party. Unique styles from the twenties include intricate decorative beading, sequins and sleek silhouettes. Art deco designs also add to their appeal along with drop waists and fringing for maximum swish. Make a true style statement with a longer length evening gown adorned with embellishments galore. The ornately decorated fabric lends itself to a bygone era where more was definitely more! Shimmering eveningwear radiates boho elegance with stunning metallic tones in silver and gold. 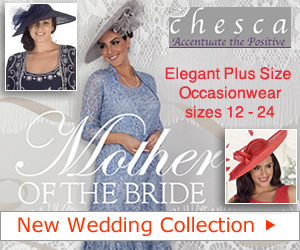 So opt for a sweeping Grecian style to your next black-tie event or a one shoulder gown with a dramatic side split. 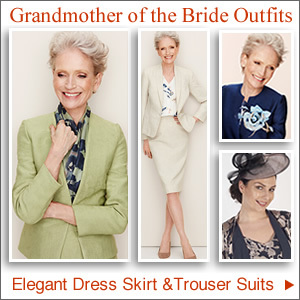 Look out for flattering designs too such as soft draping, waist ruching and elegant necklines. For a trendy knee length frock the short cocktail dress is the answer. In addition to its party appeal it offers a choice of retro styles too from flapper, swing, pencil, fit and flare and wiggle dresses. 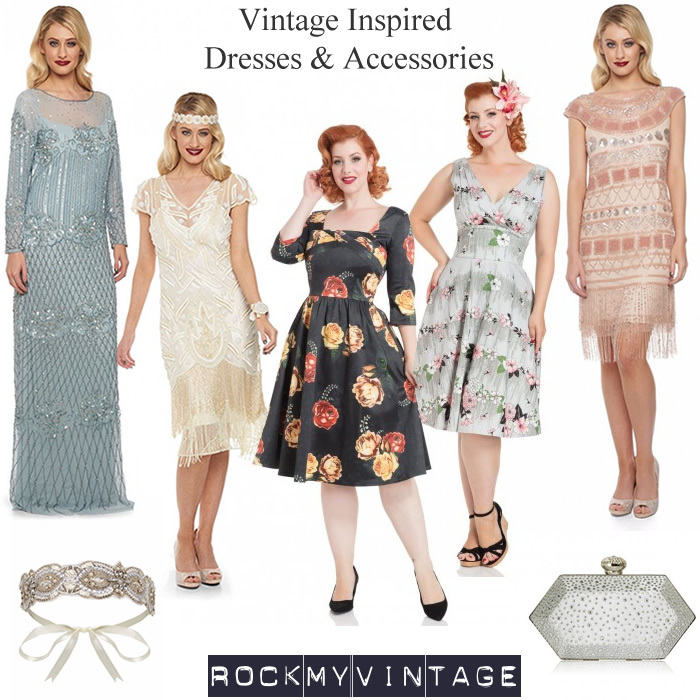 Find your favourite vintage dress and step back in time to an era that inspires you most. No matter what timeline grabs your style, you’re are sure to feel fabulous. Short party dresses are made for dancing and capture the mood of the 1920’s, 1930’s,1940’s, 1950s and 1960’s. The classic 40’s and 50’s tea dress has had a modern makeover with added frills, florals and fun-loving prints. 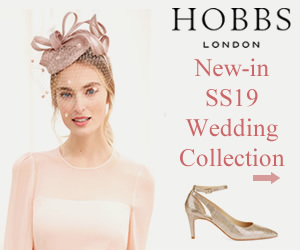 Perfect for summer weddings, garden parties, wedding guest and modern Mother of the Bride. Moving away from the traditional wedding attire opens the way for plenty of vintage vibes. 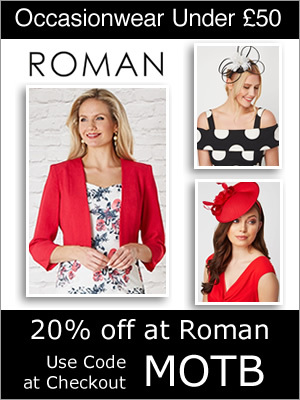 So whether you opt for printed, polka-dot or plain, there’s something for everyone. More importantly below the knee tea dresses are so versatile and make great bridesmaid dresses too. We love the dainty cap sleeves, cute buttons, belts and collars just add pearls to finish the retro look.